In fact, it was the unsavory side of professional cooking that attracted me to it in the first place. Those words crystallized for me something i’ve been feeling my way into for years — the sense that there is a second sanctity, just as laudable as the well-recognized first. Bourdain, I saw very clearly in that moment, is a saint of the second category — no insult or diminishment in any way intended — and that remark of his offers exactly the right term to begin my consideration of the hitherto intuited, but to my knowledge seldom theologically recognized category of the sacred to which Bourdain belonged. Anthony Bourdain was a saint of thee unsavory. Shakespeare knew all about this type of sanctity, theology misses, the blues know it. We frequently view the creator, religiously speaking, as “all good” — in which cae the category of the sacred will tend to be open to those whose lives demonstrate extreme “goodness ” — purity, love, self-sacrifice, call it what you will. But if we view the creator, religiously or in terms of evolutionarily biology and psychology, as an artist, then tension becomes a positive, the brilliant extreme of “evil” as significant as that of “good” — and Hannibal Lecter a paragon of negative virtue. Shakespeare must have relished writing Lady Macbeth. Shakespeare, the great dramatist of our humanity, speaks to the unsavory as well as the savory virtues, while the blues, among the most piercing of our expressions of grief, fury, jealousy, and yes, sin, is also a fount of joy and exultation. 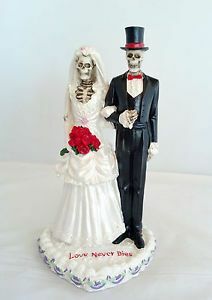 In a later sermon in this series, I shall explore Eric Clapton‘s two songs, Have You Ever Loved a Woman, and Wonderful Tonight — one of which is an exploration of “a shame and a sin” — the other of the wonder of an evening in love..
Let me note briefly here that Santa Muerte is an example of a folk outcropping from traditional Catholic piety in a morbid direction not sanctioned by the Church — an unsavory saint, and what is perhaps worse, visually an inversion of the Blessed Virgin Mary. Her typical offerings include whiskey and cigars. — surely those last two go with a large tranche of bread, no? — Mrs Bach didn’t tell us. In any case, stout JS Bach was obviously quite a trencherman. — while the Orthodox Church in DC celebrates the life of “St. Andrei Rublev, iconographer” on July 4/17.. while Kenneth Randolph Taylor, an Episcopalian in Georgia, is compiling his own “ecumenical calendar of saints”, and includes “the poet and Jesuit priest Gerard Manley Hopkins” as a saint, and surely John Donne and perhaps even Jonathan Swift will soon follow..
My point being that artists seem to occupy a space that has plenty of room for culinary delight, wives and childen, asceticism, monasticism, Lutheranism, Catholicism, Anglicanism, you name it. My own birthday, November 27, occurs in older Catholic calendars as the feast of Sts Baarlam and Ioasaph, whose story is recounted by St. John Damascene and can be traced back to a tale of the Buddha (Ioasaph = Iodasaph = Bodasaph = Bodhisattva if I recall the various names as they can be traced back to their various sources) — so I have a truly ecumenical saint’s day for a birthday in Catholic tradition — and the Buddha as a patron saint! Anyway, how long till the church recognizes the uncanny lack of hypocrisy in Hannibal Lecter, ambling down a street in the Bahamas, intent on having “an old friend for dinner”…? IMO, that’s the over-the-top case that brings my whole suggestion here into the status of an Open Question. 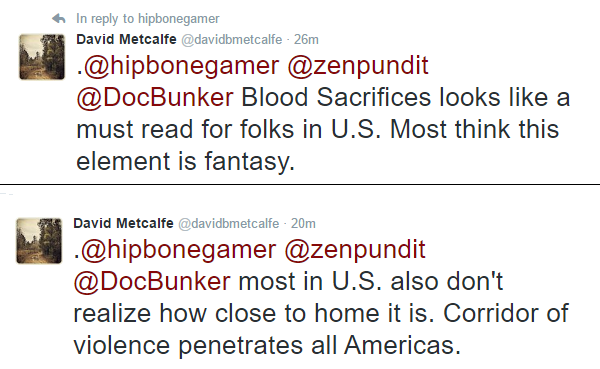 Human Sacrifice South of the Border? 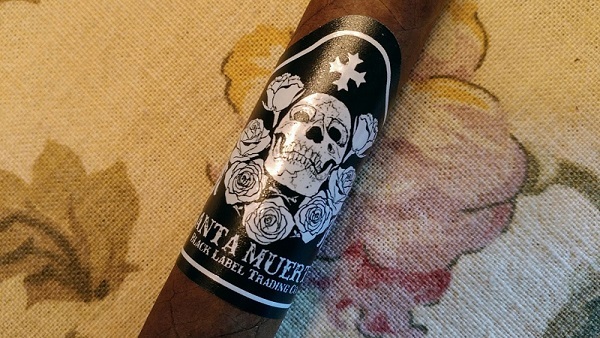 John P. Sullivan and Dr. Robert Bunker at Small Wars Journal analyze a narco prison riot in Mexico that had to be put down by Mexican troops that reportedly involved prisoners sacrificed in a Santa Muerte ritual. This prison riot and resulting massacre is one of the most serious disturbances in a Mexican prison since the February 2016 riot at Monterrey’s Topo Chico prison. That incident, which involved a battle between Los Zetas and the Gulf Cartel, left at least 52 dead and 12 injured. Mexico’s prisons are volatile, plagued by corruption, and under minimal control by state authorities. This lack of control leads to inmate self-governance (autogobierno). According to one account, 60% of Mexican correctional facilities function under self-governance. In this incident taking place at the Acapulco jail or Cereso (Centro de Readaptación Social), rival gangs battling for control led to a massacre with several persons (up to five, depending upon reports) beheaded. The guards reportedly did not intervene and may have participated in or facilitated the violence. 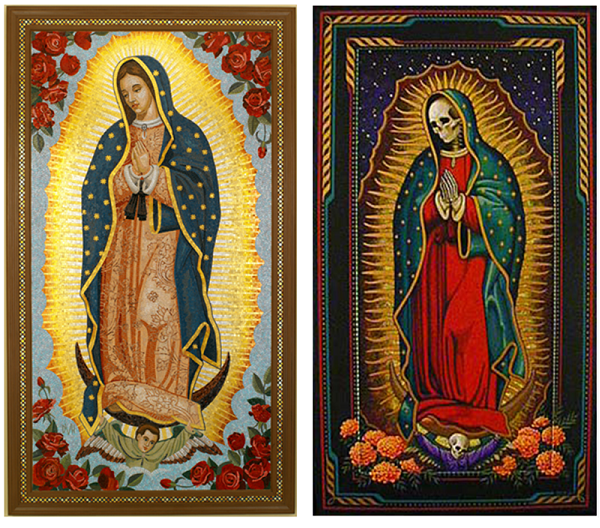 The massacre reportedly occurred during inmate rituals in veneration of Santa Muerte. Prison officials have not confirmed those reports. The juxtaposition of extreme violence and religious context is a potent combination in terms of imaginative symbolism because it harkens back to the human sacrifices of Bronze Age paganism. This action may have been secular violence meant to terrify cartel rivals but the repeated association with religious cult ritual – in this case, the Mexican folk worship of “Saint Death” – blurs the lines between criminal irregular violence and religion. This tactic is also a calling card of ISIS as well as the narc0-cartels. 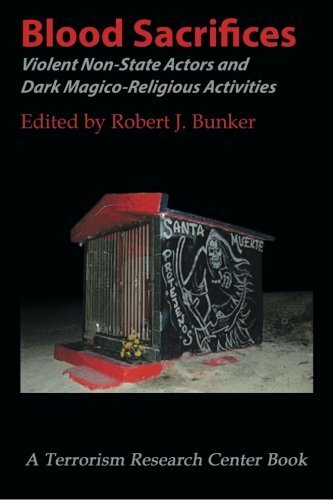 For more on irregular violence and cult practices, see this post as well as for a longer treatment, Blood Sacrifices: Violent Non-State Actors and Dark Magico-Religious Activities edited by Robert Bunker (and featuring chapters by Charles Cameron and myself). The unfortunate King Admetus, who had shown great hospitality to Apollo when the latter was banished from Olympus for nine years, was gifted by the spinners of fates with an extended lifespan — provided a substitute was found at the time death came to claim him. Death came for Admetus, and in the great poem that Rainer Maria Rilke wrote, after his father, mother and closest friend have each refused the chance to save Admetus’ life at cost of their own — Admetus’ loving wife Alcestis steps forward to offer herself..
No one can be his ransom: only I can. of everything I once was? Just my dying. that the bed waiting inside belongs to death? already I have begun to die, for him. The young, free, wild woman, the Artemis in every young bride, loses not just her father’s name but her identity, her life even, at the moment of marriage: the more sober, adult, bound woman, the wife, succeeds toi her flesh and days. The link between weddings and death — as found in dramas ranging from Romeo and Juliet to Lorca’s Blood Wedding–plays a central role in the action of many Greek tragedies. Female characters such as Kassandra, Antigone, and Helen enact and refer to significant parts of wedding and funeral rites, but often in a twisted fashion. Over time the pressure of dramatic events causes the distinctions between weddings and funerals to disappear. In this book, Rush Rehm considers how and why the conflation of the two ceremonies comes to theatrical life in the tragedies of Aeschylus, Sophocles, and Euripedes. Although condemned by mainstream churches, this folk saint’s supernatural powers appeal to millions of Latin Americans and immigrants in the U.S. Devotees believe the Bony Lady (as she is affectionately called) to be the fastest and most effective miracle worker, and as such, her statuettes and paraphernalia now outsell those of the Virgin of Guadalupe and Saint Judetwo other giants of Mexican religiosity. In particular, the book shows Santa Muerte has become the patron saint of drug traffickers, playing an important role as protector of peddlers of crystal meth and marijuana; DEA agents and Mexican police often find her altars in the safe houses of drug smugglers. Yet Saint Death plays other important roles: she is a supernatural healer, love doctor, money-maker, lawyer, and angel of death. She has become without doubt one of the most popular and powerful saints on both the Mexican and American religious landscapes. In Santa Muerte we see the conflation of wedding and funeral alive and well in 21st century Mexico — and rippling out into the wider world. 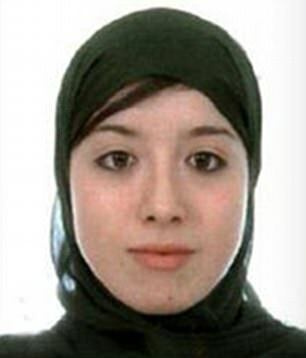 During the ceremony, the terrorist gave his wife a belt of explosives. They had a son.